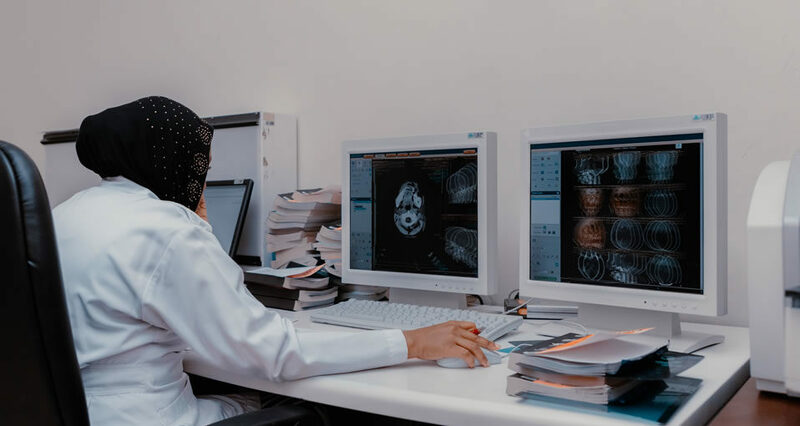 Gertrude’s Children’s Hospital Radiology department is a modern, dynamic and professional Diagnostic Imaging Centre with state-of-the-art technology and commitment to providing our patient with the highest standard of care. The department is working under the regulatory requirement of Kenya Radiation Board. For quality assurance and Radiation safety, regular audits and inspection are conducted annually. Ultrasound Imaging including Colour Doppler and obstetric ultrasound. Moving towards film-less radiology the department is equipped with Picture Archiving and Communicating System (PACS). General radiography procedures inclusive of IVP and Fluoroscopy are carried out on Computed Radiography System (CR) which has minimised the patient waiting time, radiation dose, and report turnaround time.